Mr. Loreto B. Soriano was invited as Speaker/Presenter to tackle the issue of: REALITY CHECK ON OFW DEPLOYMENT & THEIR REMITTANCES by the U.P. School of Economics, the U.P. Alumni Association and the Competitive Currency Forum tomorrow, November 24, 2011, 3- 5:00 P.M. at the UP School of Economics Auditorium, UP School of Economics Building, Diliman, Quezon City. Please find below the Program and the Briefing Paper of his presentation. OFWs go overseas for work to be able to provide a better living for their families. What people don’t realize is that progressively, OFW remittances have become the most important input of the Philippine economy. Remittances have saved the Philippines from economic and social disasters but not from bad development outcomes. Remittance flow has allowed doubtful policy decisions to prevail and culminate in a neo-liberal economic order that has led to jobless growth, the decimation of domestic agriculture and manufacturing and an import centric consumer-driven economy. In 2006, the World Bank pointed out that the calculation of a country’s credit rating by major international agencies depends on remittance flows, the better the credit rating rank the country would get (Jongwanich, 2007). This is flawed economic thinking for it allows the government to incur more debt instead of focusing on domestic production and employment. It has been argued that overseas migration has little economic cost to the Philippines for it has expanded in periods of high un-employment. Poverty alleviation has been one of the main reasons advanced by successive administrations in justifying the export of its citizens. And yet, poverty reduction via migration promotion has had indiscernible gains in most provinces. Socially, there is a detrimental effect on the family, especially for young children and teenagers, when one or both parents are working overseas. The emotional and behavioral downsides cannot be underestimated; they affect both parties so distant from one another. Social costs eventually develop into economic costs. The new millennium signaled the final phase of the Philippines’ slide into the seemingly irreversible dependence on remittances and overseas jobs. No other major population country relies on remittances as does the Philippines. The Philippines is the world’s 12th largest country by population, and yet, it ranks near the top in the list of countries with the highest percentage of remittances vis-à-vis GDP approximately 13.8 percent (13.5 percent according to Amsberg, World Bank, 2005). It is in the company of tiny territories and small countries whose high percentages are due to their almost complete lack of agriculture and industry, and limited consumption and investments. This highlights the high dependence of the Philippines on OFW remittances (Jongwanich, 2007). Remittances are the fuel that drives the country’s domestic consumption economy. With virtually no “cost of goods sold” they have a foreign exchange value that is greater than net exports, business process outsourcing’s (BPO) net income, foreign direct investment (FDI), portfolio investments and tourist income combined. These massive remittances have spoilt successive administrations for they have allowed them to avoid hard reforms and potentially unpopular decisions (Pernia, 2008). It also allowed the invasion of an insidious form of syndrome: Dutch Disease. The Philippines is exposed and under threat of a substantial downturn in demand for overseas Filipino Workers and must take steps to minimize the imminent effects. Europe, North America and Asia are in economic crisis, a recession of unknown duration and depth while major destination countries in the Middle East are rocked with political upheavals and deliberate attempts to nationalized its jobs. It is only a matter of time before downsizing migration and declining remittances becomes apparent or has started. Contrary to popular belief that OFWs are employed in recession-proof industries and high percentage of them are highly skilled and professionals, they are not. Only 12% of total new hired OFWs in 2010 is composed of skilled and professionals, steadily declining since 2001, from 97,448 to only 41,835 in 2010. The so-called “recession-proof” healthcare industry employed a yearly average of only 11,000 Nurses from 2001 to 2010, which is mere 4% of all new hires. Today, female OFWs dominate overseas migration, approximately 63% of total deployed in the last 10 years. It is the mostly-female vulnerable sectors of the OFW population that has been expanding in great pace for the past decade despite of volume-control policies introduced by POEA and DOLE. From 92,351 in 2001, it tops 154,535 in 2010 or 45% of total new hires while production/factory workers leaped from 56,740 in 2001 to 120,647 in 2010 or 36% of total new hires. The steep decline of deployed skilled and professional workers and the rise in women workers in vulnerable jobs reflects the true state of available local jobs and our macro- economy. While most of them are educated, they don’t possess the appropriate working experience required by overseas employers. Many threats already abound to severely hinder the future deployment of professional, semi and skilled OFWs. Trends already demonstrate that the higher income skilled jobs will diminish further and that the future OFW workforce will be predominately made up of female household workers, ‘entertainers’ and factory workers with many if not most, are outside the Government regulated channels of deployment. Whilst the demise of the labor export sector is believed by many NGO’s, foreign and local experts and multi-lateral welfare organizations to be a good social outcome, this is only possible if there are counter-balancing domestic economic income generating measures and investment, to replace OFW remittances. This brief is partly an excerpt from the paper- OFW Economic Engine 2009 authored by the presentor. 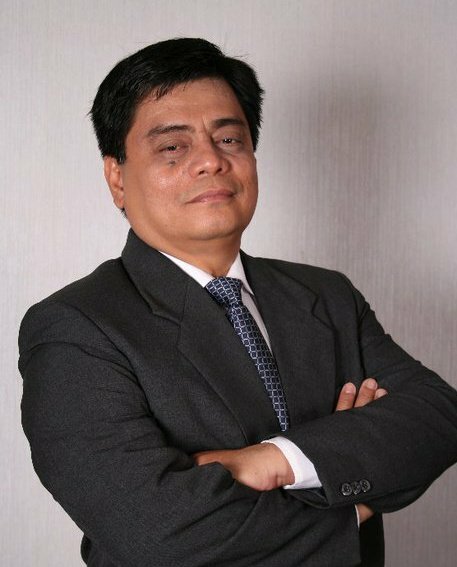 Mr. Loreto B. Soriano in the late 1980’s after having worked five(5) years in Saudi Arabia, realized the opportunities that the then fledgling recruitment industry offered. Lito as he is known by his associates, climbed up through the industry before establishing LBS Recruitment Solutions. His more than twenty years of experience and ideas have contributed in setting the policy directions for the overseas employment deployment strategies and government programs. He was also elected President of two of the biggest associations of licensed recruitment agencies in the Philippines: The Philippine Association of Service Exporters, Inc. (PASEI) and the Philippine Association of Manpower Agencies Accredited to Taiwan (PAMAAT).